Image above – completed testing of Object Editor Menu, Script Editors, and i3 Builder (the former build_227_ul converter), for KitCAD (HTML version). The rewrite/recycle existing KitCAD code with rX codes will provide end-users with the ability to build i3 library file systems from a KitCAD 2 file base (or provided by Object Editor). The INF editors will not save and load because of the historic nature of the file formats (since deprecated, and no longer in use), the buttons are still provided for the historic ‘KitCADi3ie5.exe’ software application. 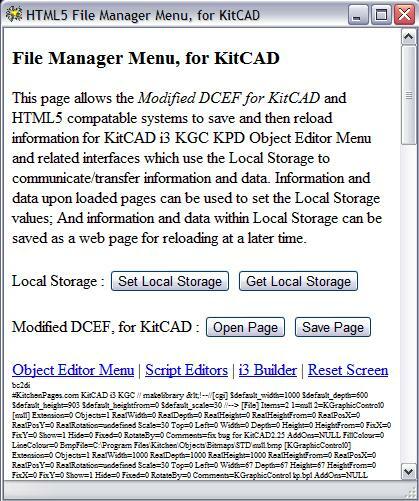 Because of the previous KitCAD i3 KGC versions inability to function on systems above Windows 7 (with service pack or updates) resulting in empty file saves — The rewritten Object Editor for KitCAD (this) is included after the release of KitCAD i3 KGC rX with release date of 1st May, 2016. 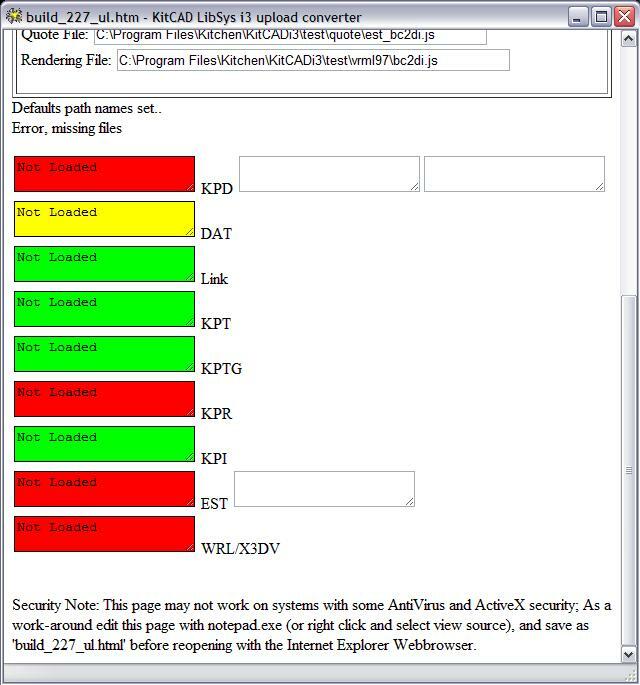 Deployment to off-line KitCAD i3 KGC rX windows version installs is only provided trough the Modified DCEF 3.0 interface installs (and after which is executed from the Start|Kitchen|KitCAD i3 rX|config|i3 program group). While it is possible to modify the Object Editor for online use, the Object Editor interfaces will not be uploaded as an online addition to KitCAD i3 KGC rX (or other online versions however this may change, archives are supplied if required). Deployment has been brought forward and is being rushed and as a result some bugs “do” exist. See post Comments (Below) for more developer notes, testing, and update information. 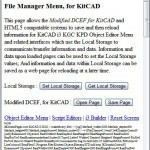 After the Archive is extracted, the file of /i3foei/html5fm.html will allow a Web Browser to display the Object Editor HTML5 file manager, for KitCAD (HTML version) interface. This entry was posted on Thursday, April 7th, 2016 at 8:12 pm	and is filed under KGC, KitCAD, KitCAD i3, Library Systems. You can follow any responses to this entry through the RSS 2.0 feed. You can leave a response, or trackback from your own site. 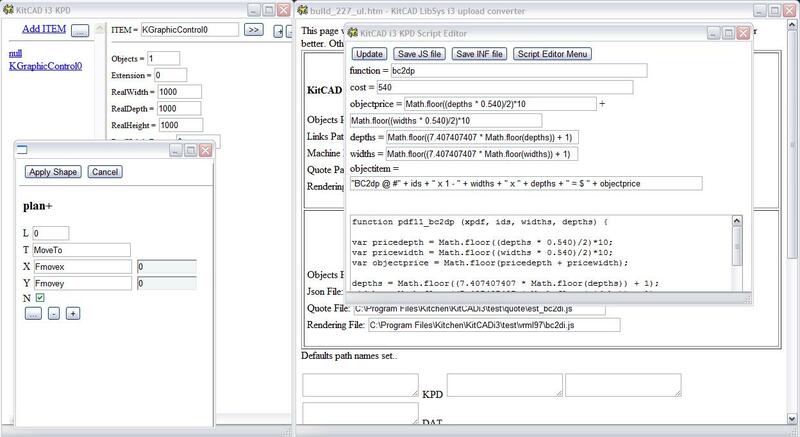 Images above of Screen shot/s – Left, retesting of i3 Builder (former build_227_ul converter) allowing users to process KitCAD 2 KPD supporting file information to KitCAD i3 Library System (not KPX); Right, HTML5 File Manager Menu. The updated HTML5 supporting versions to be released with KitCAD i3 KGC rX will allow end-users to save-onto and load-from actual machine phrased Web Pages that contain the file data and information required to operate the Object Editor, Script Editors, and i3 Builder. Images may differ from final versions.